A lot of guitarists build their careers as electric guitarists, but what happens when an electric guitarist goes acoustic? What happens to their playing style and ultimately what kind of impact does it have on their hands? The strings on an acoustic typically retain more tension and require more muscle to fret. The strings don’t bet nearly as easily and chords can be harder to fret. Fundamentally acoustic and electric are the same, but if you want to blaze through Eruption your fingers are going to get a more intense workout on an acoustic, and not just because of the string tension. 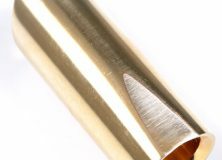 And furthermore in the case of tap-heavy pieces like the aforementioned example Eruption the acoustic’s influence doesn’t have to be restricted to just the fretting hand. 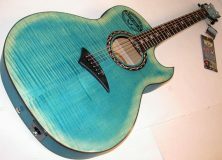 Another aspect that makes the acoustic a good challenge for electric guitarists is the construction. 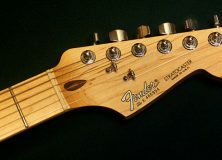 The fretboards are usually flatter, they don’t have as many frets and the high fret access is often nonexistent, and the there’s a huge difference in the body mass. Take a look at the Mr. Big video. 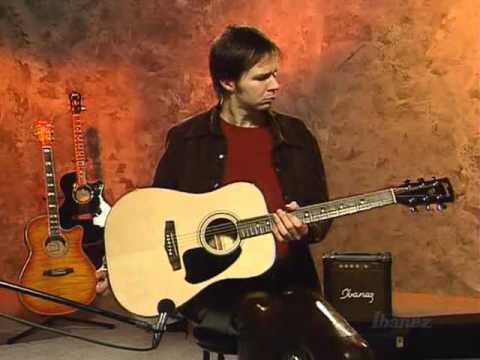 Paul Gilbert’s known for his intense shredding, but to be able to live up to the hype on an acoustic requires much more of the muscles in his fingers. If you can build up the endurance to play like that on an acoustic making the transition back to the electric will feel like butter. And then there are cases like Al Di Meola. Shreddy solos aren’t the only thing that an acoustic can be used as a handicap for. While Di Meola’s been known to practically invent shred guitar from time to time he’s also known for his excellent latin and jazz chords and arpeggios. Therein lies another potential challenge. Chords on an acoustic are a whole different beast. Play the intimidating six-string F major barre chord on an acoustic then try it on an electric and see which one doesn’t seem so bad after all. But if you get used to something like that on an acoustic then it’ll seem barely worth mentioning in conversation about the electric. Of course this isn’t all to say that electrics are necessarily easier than acoustics. The core of the message here is to not get too comfortable with your comfort zones. Handicaps go a long way for your playing and something as simple as playing a different guitar can have a much stronger impact than you might readily think. And just to show we’re not picking on electric guitarists next time we might tell people like Eric Mongrain to try their stunts out on an electric instead.